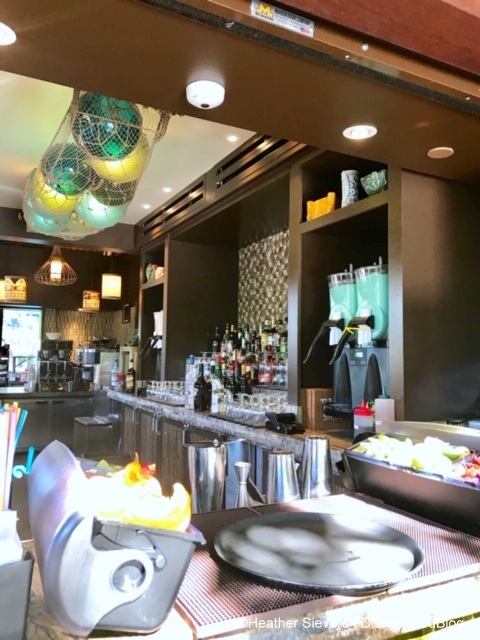 This is super convenient — and takes advantage of the great outdoor lounge spaces around Tangaroa Terrace! 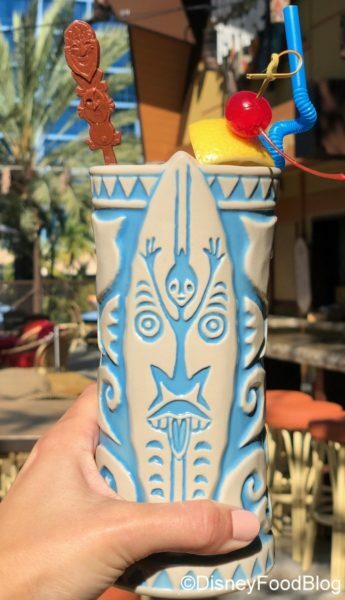 The newest cocktails on the Trader Sam’s menu are the Tangaroa Cooler and the Sea Monster’s Embrace, and both are served in these unique mugs. You can buy the drink (served in the mug), buy the mug (without the drink), or buy both the drink and the mug. And there are lots of Trader Sam’s tiki mug collectors out there. We totally get it: these mugs are clever and fun! 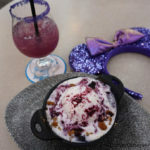 Drinks at Trader Sam’s and Tangaroa Terrace! 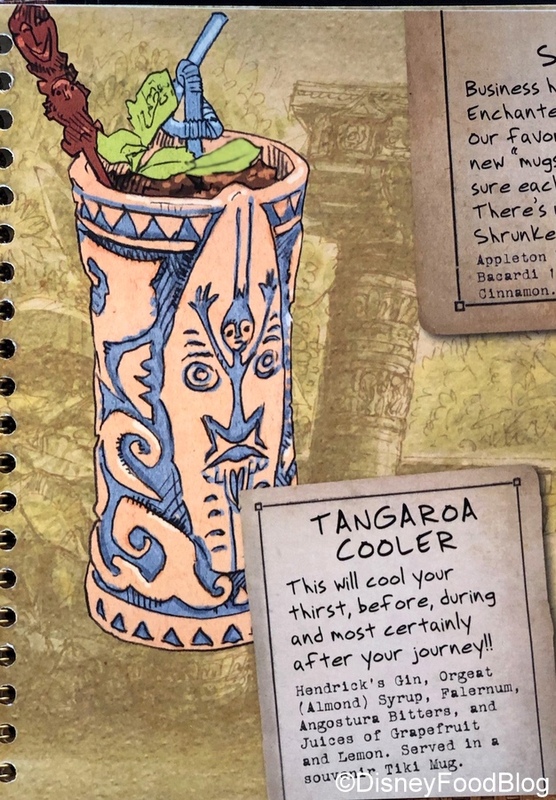 The Tangaroa Cooler is a drink designed to celebrate the reopening of Tangaroa Terrace, which shares a building with Trader Sam’s (and has many similar menu items — which you can see HERE in our Tangaroa Terrace lunch review!). This consists of Hendrick’s Gin, Orgeat Syrup (an almond syrup), Falernum (a Caribbean syrup liqueur), Angostura Bitters, and lemon and grapefruit juices. 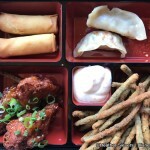 The combination of components is really interesting here, and they meld well together. We felt the lemon came through most strongly, and the bartender was delightfully heavy-handed with the alcohol. This was easy enough to drink and refreshing overall. Plus, you know, it’s fun to drink anything out of the mug, right? 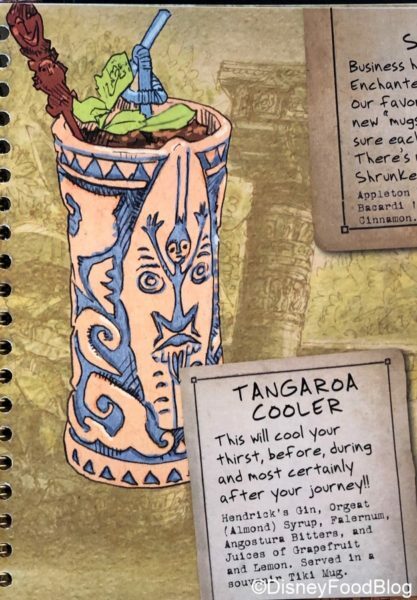 Tangaroa Cooler with NEW tiki mug! 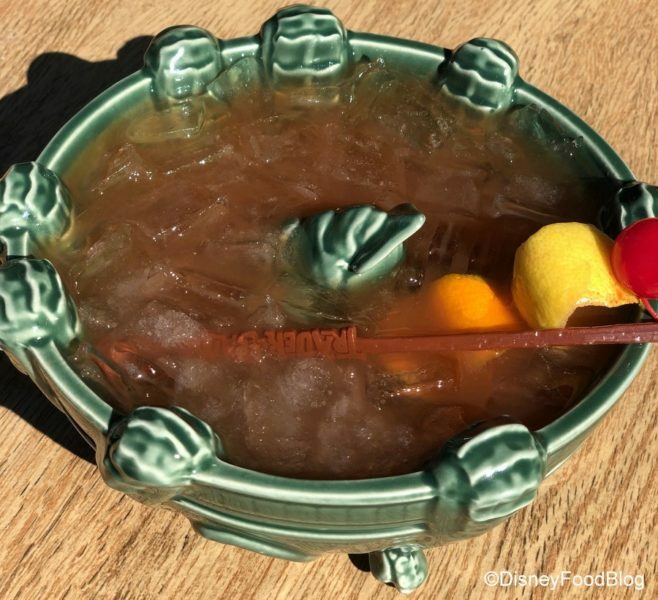 The Sea Monster’s Embrace is a share-able drink designed for two (or more!). 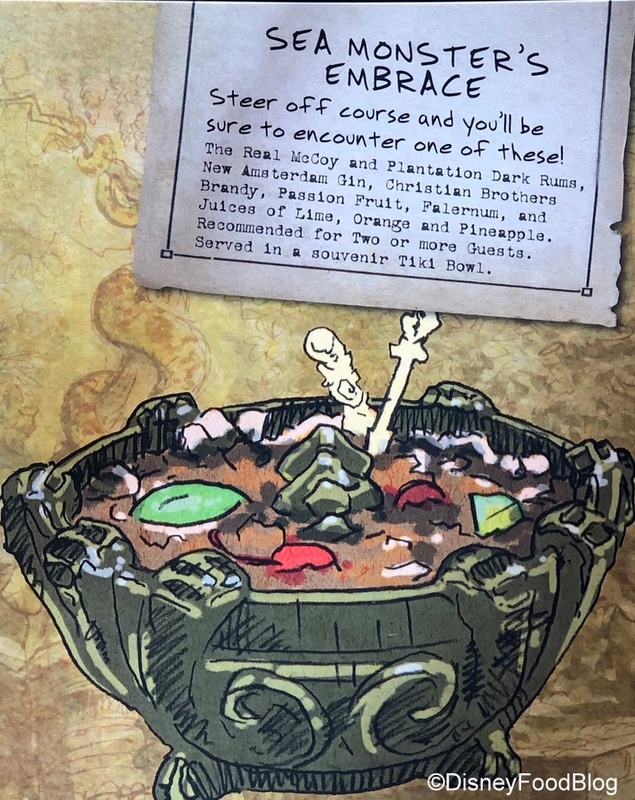 It’s served in a bowl with a ceramic sea monster poking his head out of the drink, so you know it’s going to be a an adventure. 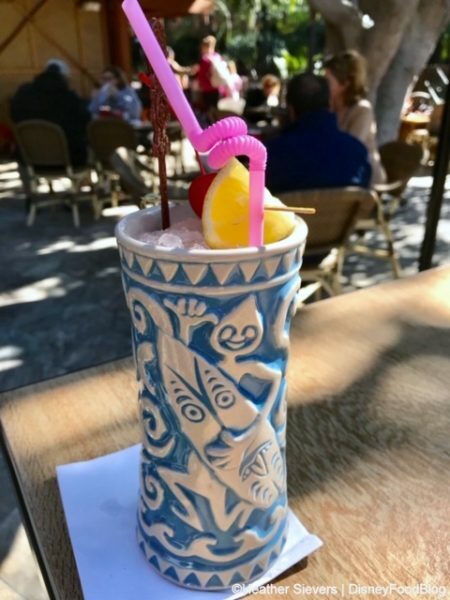 The Sea Monster’s Embrace consists of The Real McCoy and Plantation Dark Rum, New Amsterdam Gin, Christian Brothers Brandy, Passion Fruit, Falernum, and orange/lime/pineapple juices. It’s definitely got a tropical vibe. But the Sea Monster’s Embrace was also a heavy pour. 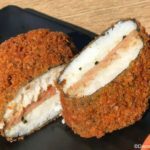 So it’s good, but it’ll knock you over! 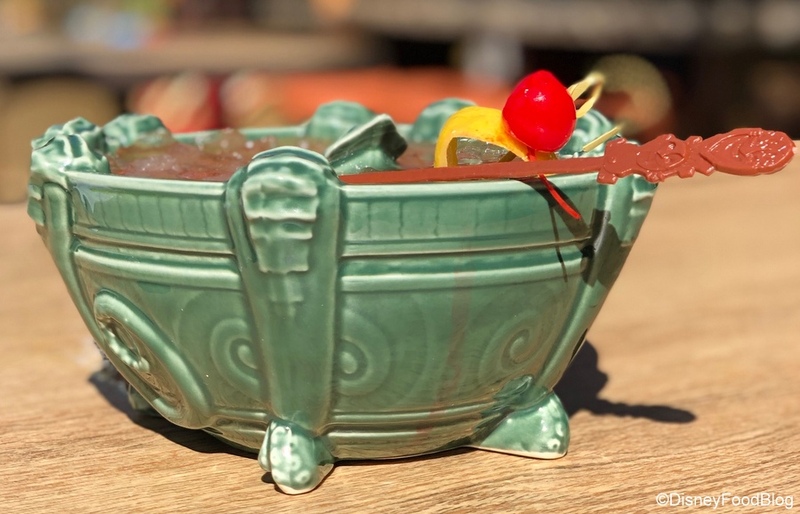 Bring friends for this one one-two punch bowl of a drink! 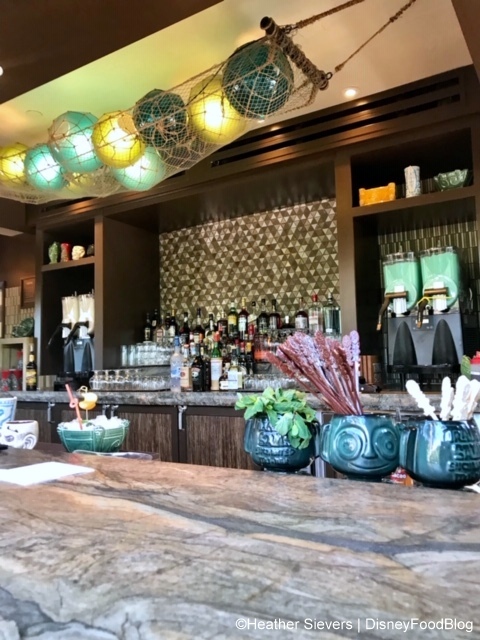 Click here to read our review of BREAKFAST at the newly reopened Tangaroa Terrace! signing up for the DFB Newsletter today! 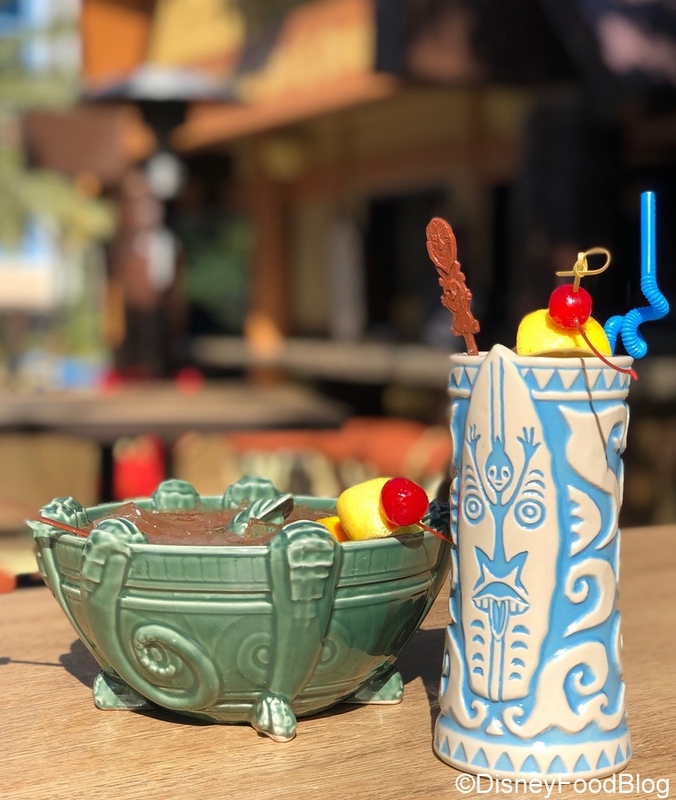 What do you think of these new cocktails from Trader Sam’s? 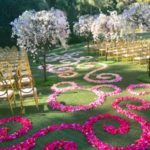 Will you put them on your list to try? Tell us in the comments! 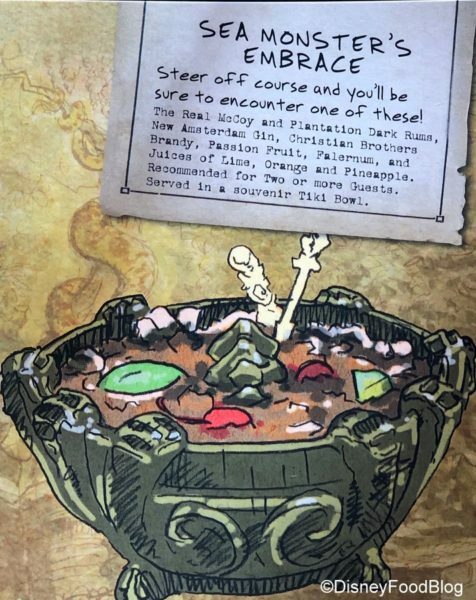 I seriously want that Kraken bowl! But the second hand prices of $150 just don’t cut it. Haha. 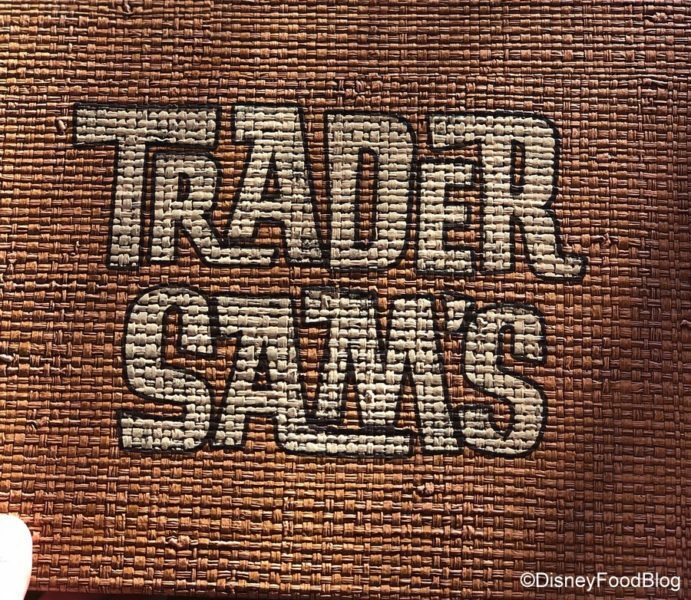 I love me some Trader Sam’s drinks in cool mugs, but $58 for a drink?!? I know it’s for more than one person, but still. I don’t recall the Uh-Oa (sp?) being in that price range, but maybe the alcohol erased it from my memory.